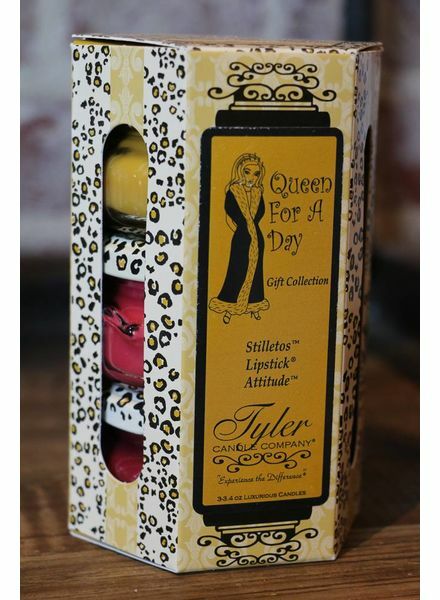 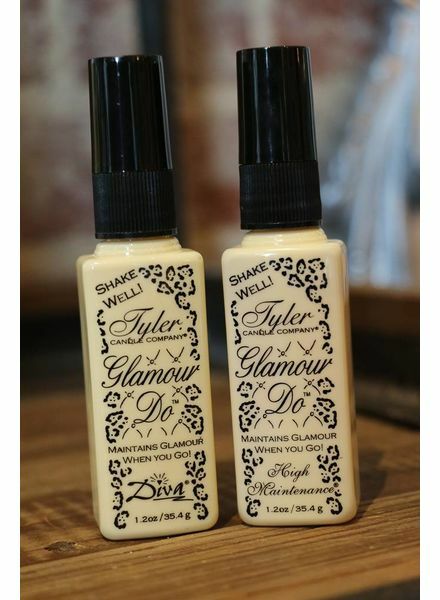 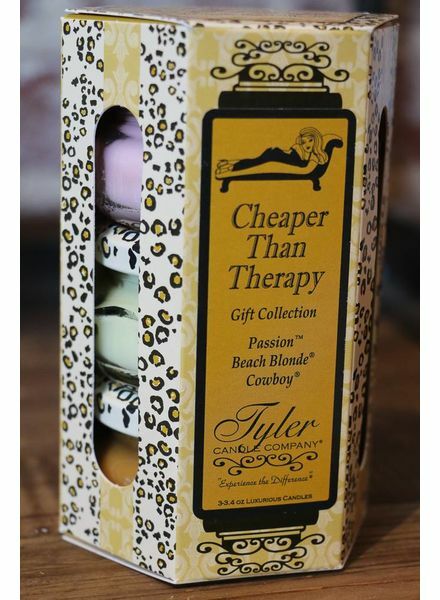 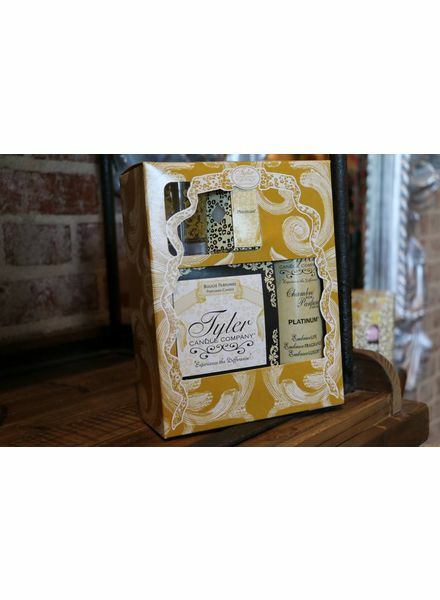 Your favorite Tyler candle in a fabulous Muted Gold Leopard glass container! 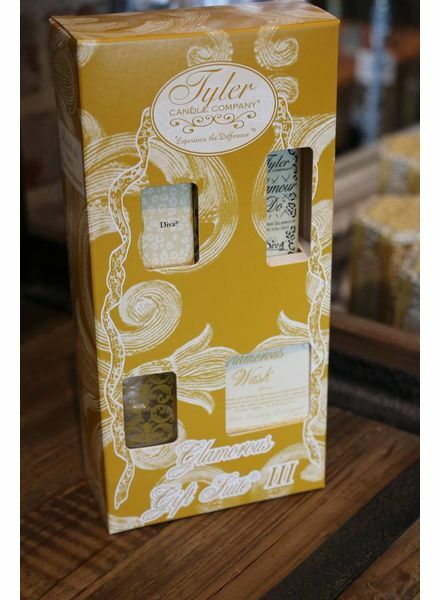 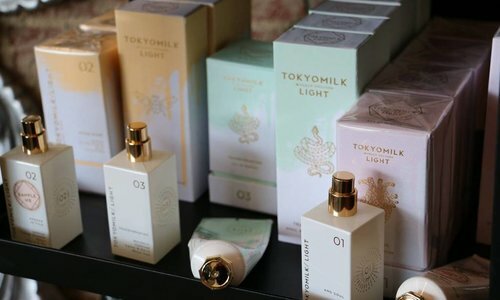 This wonderful new Tyler Candle has a burn time of 75 hours based on a 1-2 hour burn. 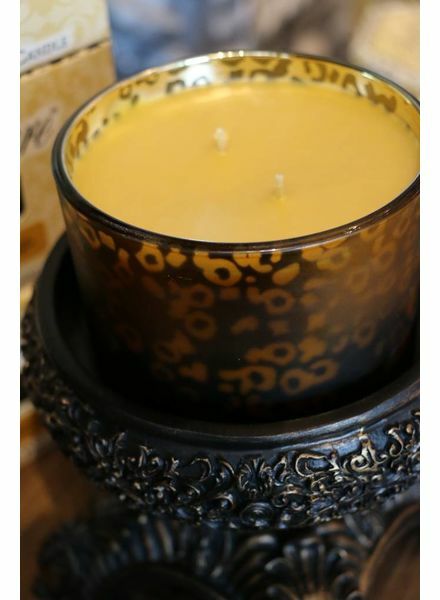 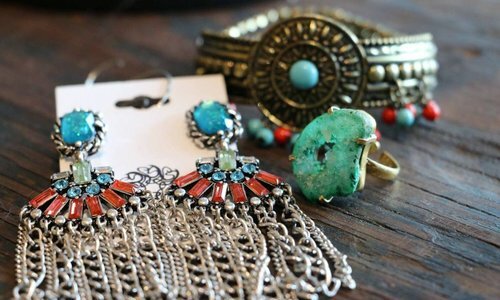 Candle holder not included.